Living in the Biltmore area with a lower budget is possible in today’s market. The Biltmore area is one of Phoenix’s most desirable neighborhoods due to the easy access to fine dining, luxury shopping and spa services. Biltmore area living is not only for a high budget resident. For $400,000 or less, you can enjoy the perks of living in this area which includes being within walking/biking distance of shopping, fine dinning and outdoor activities. In case we have to reach you , best number for text or call? With new construction coming up all the Camelback corridor, I toured a new construction for condo living in the Biltmore Area this past weekend. 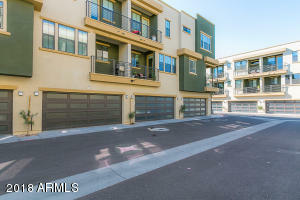 This condo complex has 3 designs and each design is a 3 tier unit with attached 2 car garage. To give you the option of having an outdoor and indoor living experience, all units come with 3 to 4 balconies that can be accessed on the second and third floors. These balconies create a very intimate and bistro feel, where you can have coffee, tea or wine just off your bedroom, kitchen or guest bedrooms. 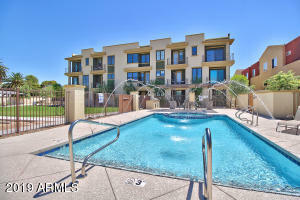 This new development is real urban living in Phoenix and perfect for an urban lifestyle with out the a huge budget. There is an option to include a feature wall made of real brick to give you the urban vibe and also open the ceilings of the living area up from the second floor to the third floor giving you about 16 to 20 feet ceiling. Biltmore Living Condo Units are available for sale. Prefer Luxury Condos in the Biltmore area instead? The Biltmore is an upscale residential neighborhood & financial district in central North East Phoenix, Arizona. It is the city’s most acclaimed neighborhood, largely due to its location, near the Arizona Biltmore Hotel. The local landmark was opened on 23 February 1929. The Resort is surrounded by two 18 hole championship golf courses built in 1928 and 1977 along with some of the most exclusive homes in the Valley of the Sun. The greater area is known as a financial district surrounded by upscale shopping, dining, and for its quality of life. The financial district is clustered with business and residential mid-rise tower buildings and gated neighborhoods along a line known as the “Camelback Corridor” which extends from Central Avenue, East on Camelback Road into Scottsdale. The Biltmore is anchored at the intersection of North 24th Street and East Camelback Road, where one will find shopping at Biltmore Fashion Park, a Ritz Carlton Hotel, and several large office buildings. The neighborhood is also the site of the famed Wrigley Mansion, built atop La Colina Solana, a small bluff overlooking the resort neighborhoods.